financial solutions, and trusted advice. tools to optimize their business. We are here to help firms like yours. We help you save valuable time that can be allocated to other important tasks in managing your RIA business. Our specialized expertise eliminates financial risks, utilizing a DIY (do it yourself) approach. 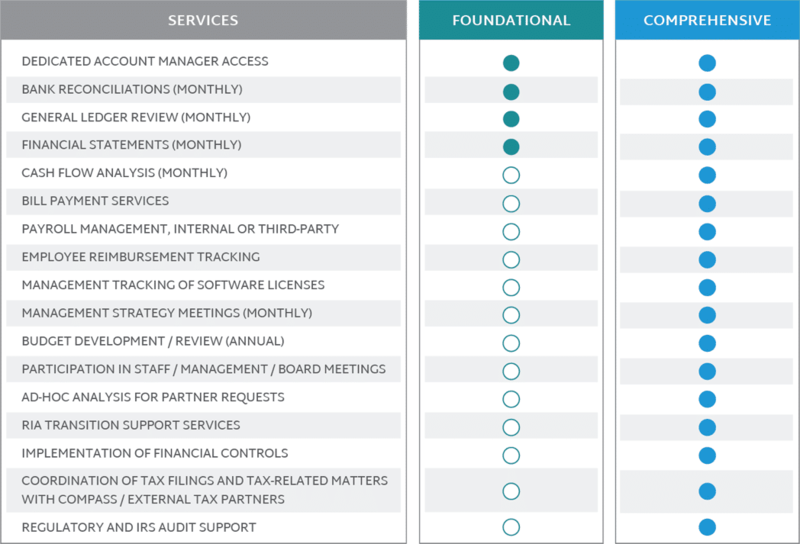 Compass’ core services are fully complementary to your firm’s needs, making your resources more scalable. Your financial and accounting needs are handled by Compass’ knowledgeable specialists. Boost the productivity of all of your employees by outsourcing financial and accounting tasks to Compass. Our team offers a variety of ongoing finance and accounting services to support your company, analyze operations, and help you make better business decisions. Compass offers co-sourced experts who act with care and precision. Let’s protect the future of your business together. 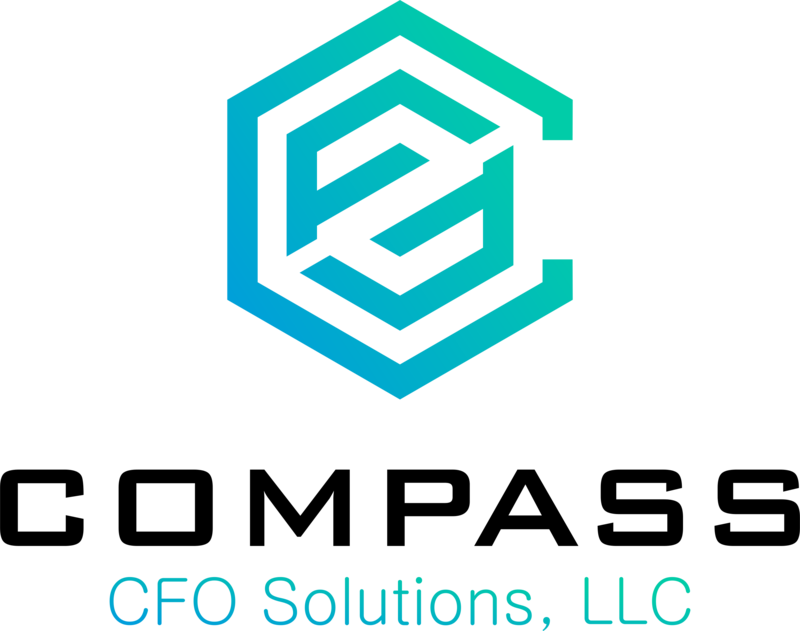 Compass CFO Solutions provides direct support to RIAs to ensure that they meet all accounting and financial reporting requirements. with specialized experience in accounting, finance, and operations for RIA wealth managers. Damian Lo Basso has over a decade of experience in the financial services industry. Prior to founding Compass CFO Solutions, Damian led the finance and accounting divisions for RIA platform service provider Dynasty Financial Partners. He then served as the Vice President of alternative asset manager CoVenture. He began his career in the investment banking department of Deutsche Bank Securities, where he worked in the firm’s Structured Credit division. Damian is a member of the Forbes Finance Council and is a regular contributor to Forbes and various wealth management news outlets. Married and living in New Jersey, Damian enjoys staying active with his wife, Brielle, and black lab, Jett. Matt Hayon brings to Compass over a decade of experience helping small businesses improve their operations and minimize costs. A proclaimed “efficiency expert,” Matt is absolutely obsessed with applying new creative strategies to strengthen the bottom line of the firms he works with. Most recently, he served as the Controller of Natural Wireless LLC, a High-Speed Internet Service Provider. Matt graduated with a Bachelor’s Degree from New York University. He currently holds the Project Management Professional (PMP) designation. Matt lives in New York City with his girlfriend, Emily. over each client, so they in turn can obsess over theirs. Compass was approached by an advisory firm looking to scale its existing operations in a meaningful way. The firm already saw success on a small scale, but wanted to grow its business in a way that made sense for them. However, the firm’s books were sloppy, and the two owners had different pictures of their business and its needs. To get the firm on the right financial footing and put the owners in control of their business, Compass dove into the firm’s books, analyzing every line item of the firm’s financials. 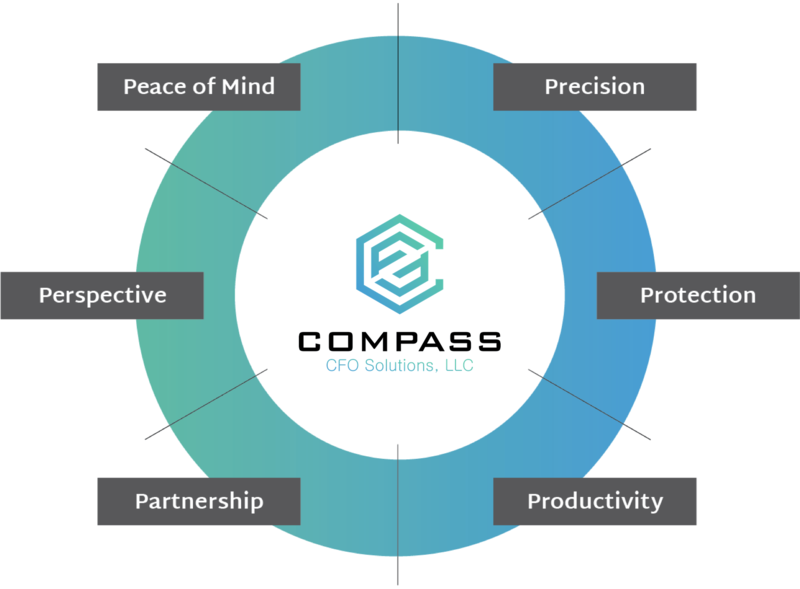 During the course of several conference calls, Compass probed the owners for more information about their business, and at the same time, gave its own impressions and advice. Compass was able to use its experience working with other advisory firms of similar size and growth trajectory to make informed recommendations of how to present its financials in a more transparent way. Compass also made recommendations about how the firm could better focus its existing operations and increase efficiency. The firm, now with a better picture of the financials and operations of its business (and cleaner books), is in a better position to scale its existing operations or prepare for an acquisition. An RIA firm was looking to transition to independence from a traditional wirehouse setting. Having chosen their custodian and key technology vendors, the partners were unsure as to what else needed to be done to guarantee a successful transition. Compass began by working with the team to implement pre-transition best practices to minimize the risks assumed by the firm and its partners. By properly tracking all out of pocket expenses; managing all transition support funds provided by the custodian; and properly training the firm’s staff on all relevant workflows, policies & procedures and financial controls; the team was well prepared for their scheduled launch. By working with the partners to track their out of pocket spending, Compass eliminated countless hours of reconciliation work that would have been necessary come tax season. Also, by getting the firm up and running on Compass’ proprietary technology stack prior to their launch, the firm and its staff was able to focus on successfully transitioning their clients, rather than on debits and credits. A seasoned RIA firm received a request for documentation from the SEC. Though the firm had made every attempt to remain compliant, it was missing many of items relating to the financial books and records requirements. Understanding and managing the countless requirements put into place by state and federal regulatory agencies is difficult for even the most seasoned advisors. Though the firm was missing many of the historical records that were requested in the documentation request, Compass was able to review and correct the firm’s financial statements. Compass identified the areas where the firm was delinquent in their best practices, and implemented proper controls to fix the deficiencies moving forward. Though the firm was not able to produce some of the supporting documentation requested, the SEC recognized the newly implemented the new controls that were established as a corrective measure. The SEC told the firm that they would re-review it in six months, at which point the firm was able to produce all requested information and passed the examination with no derogatory marks. Compass works closely with the following industry leaders to ensure the highest quality of service to each of its clients.